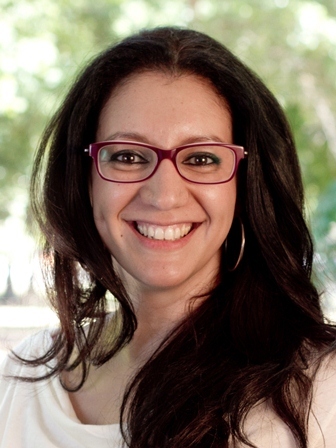 Vivian Ibrahim is a historian of the Modern Middle East and joined the University of Mississippi in 2011. She specializes in the history and politics of Egypt in the 19 and 20c. Ibrahim’s current book project, “Détente Shows: Tutankhamun and the Global Cold War”, examines the intersection between cultural diplomacy and world heritage against the backdrop of the Arab-Israeli conflict and Cold War. Ibrahim holds degrees from the University of London (PhD. School of Oriental and African Studies, 2009; MSc. London School of Economics; BA. King’s College). She held a one-year post-doctoral research position examining European-Muslim identities at University College Cork, Ireland and has taught at several universities in the United Kingdom. 9/11 represented a heightened global security threat, which also brought about intense public attention on domestic Islam and Muslims within the US. This course aims to examine how religion and ethnicity, focusing on Islam and Arabs, are viewed and represented in the aftermath of 9/11. Students will examine Muslim communities in the United States - with special reference to New York - going beyond media headlines to question stereotypes in its various forms. They will learn about the complex role of religion in modern public life and space involving violence and peace. The aim of the course is to offer an insight into the history and diversity of more than six million Muslims in the US while integrating social, economic, political, as well as cultural approaches in order to gain a holistic understanding of the complexities of the politics of representation. This class will examine the causes, role and impact of various uprisings, revolts and revolutions in the twentieth century Middle East. The recent events of the so-called 'Arab Spring' have brought into question, why supposed change occurs, what the catalysts are, and whether there is an absolute break or continuity with the past. This course will place various historical and contemporary events within socio-political and economic contexts with the aim to question how meaningful it is to talk about 'revolutions' in the Middle East. This course looks at the historical, social and political development of the Middle East from the end of the Ottoman Empire to the present day. This course aims to contextualize contemporary debates within a historical overview of the Middle East, as well as provide the conceptual tools to understand the workings of regional and international powers. A lecture during the Monday session will be followed by a mixture of class discussions, presentation and informal lectures on Wednesday and Friday. It is expected that all students participate actively in the discussions which is a crucial element of the course. Students are expected to make their contribution through regular class participation critically assessing the reading assignments, responding to peer comments and presentations, and discussing the ideas and arguments presented in class. Each student will make at least one oral presentation based on topics and readings with the aim to encourage and facilitate debate. The oral presentation will be assigned in advance, and students are expected to make use of the required readings for that week. The presentation has to maintain a clear focus on the selected topic and offer a discussion of the relevant literature.